Are you looking for exciting, part-time, fun and flexible work on the weekends? 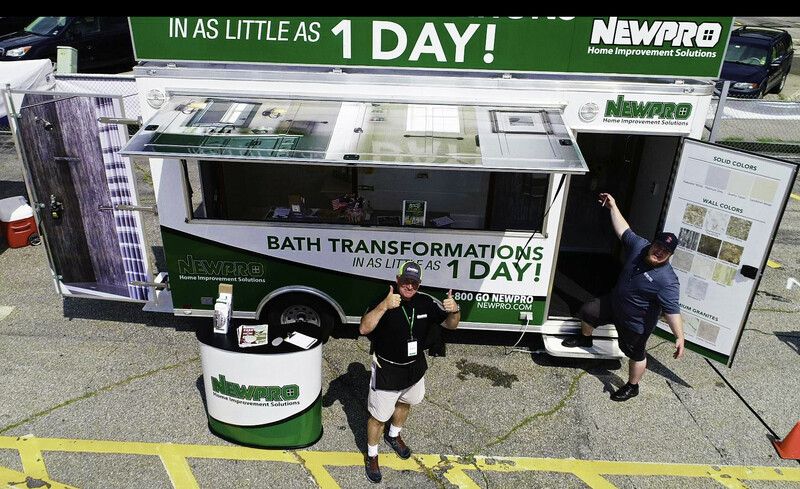 NEWPRO, New England's leading home improvement solutions company, is rapidly growing and we are expanding our Marketing Team. We are looking for Event Marketers on the weekends to represent NEWPRO at home shows and other events, fairs and festivals. Hourly Rate Plus Great Bonuses - Apply Today!! Since starting out as a small window treatment business in Medford in 1945, NEWPRO home improvement has grown into one of the largest and most trusted home remodelers in New England. From energy-efficient windows to state-of-the-art roofs and elegant bathroom renovations, NEWPRO offers a leading combination of superior products and exemplary service. As a family-owned and operated business for three generations, our dedicated team has a deep knowledge and passion for their craft and are truly committed to a mission of spreading happiness, one home at a time. When it comes to house remodeling, NEWPRO values the same things you do: quality, efficiency, and attention to detail. Over the last 70 years, the hard work of our skilled staff—from the customer service specialists to the installers and suppliers—has earned the support of over 150,000 happy customers throughout New England. A personal approach: NEWPRO provides dedicated support through every stage of your home improvement project. Our experts even personally contact customers after project completion to ensure complete satisfaction. If something isn’t right, we’ll fix it! Award-winning service: Decades of success have earned us numerous industry awards for customer service and project excellence, including the Guild Quality Service Excellence Award, the Replacement Contractor Customer Service Award, and the 41-Year Accredited Business Achievement Award from the Better Business Bureau. Industry expertise: NEWPRO works with the most proven industry names, and even manufactures a proprietary line of windows and siding. As an Energy Star Partner and Qualified Remodeler Top 500 Member, this team has the expertise for any project. Come Join the Family Today!